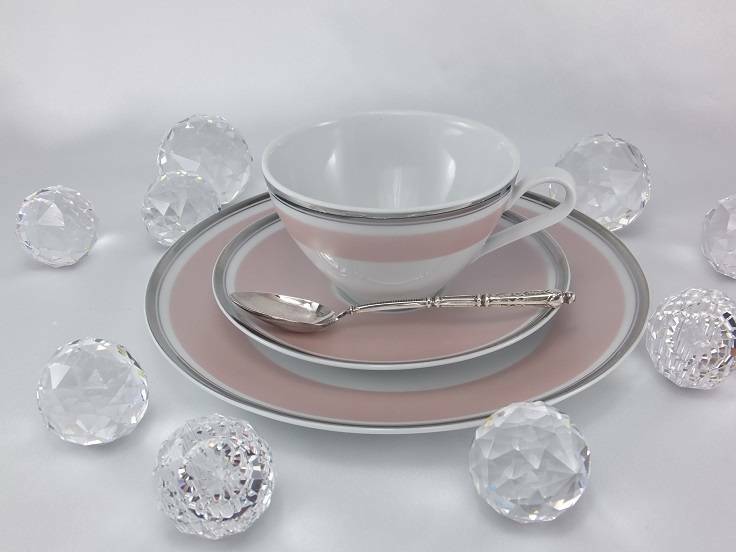 Marie - Chantal - porcelain with platinum rim. Are you already feeling the wave of change? Marie - Chantal is the answer to futuristic trends. It magically attracts your attention. With its sensational but unusual flowing shape and romantic taste. It is the essence of simplicity and sheer elegance. Discover the sophisticated taste and feel the confident style.